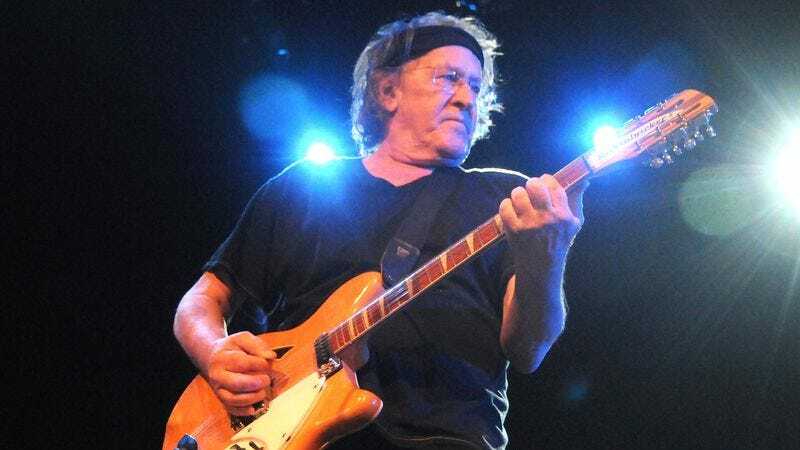 As confirmed by the San Francisco Chronicle (via Rolling Stone), founding Jefferson Airplane guitarist Paul Kantner has died from multiple organ failure and septic shock after having a heart attack earlier this week. He was 74. Kantner initially broke into the music industry as a folk singer, hoping to sing anti-establishment protest songs, but after meeting Marty Balin in 1965, Balin recruited him to help form the original lineup of Jefferson Airplane. Over the years, Kantner would be the only founding member of Jefferson Airplane to appear on all of the band’s albums, and he’s credited with helping to define the reverb-heavy, sci-fi/fantasy-tinged psychedelic sound that the group was known for. Five of Jefferson Airplane’s first seven albums went gold, spawning hits like “White Rabbit” and “Somebody To Love,” which captured their eras so well that they’ve become standards of psychedelic rock. In the ‘70s, Kantner and Jefferson Airplane singer Grace Slick recorded Blows Against The Empire, a sci-fi concept album that was even nominated for a Hugo Award. Blows Against The Empire was the first record released under the Jefferson Starship name, years before that group became an official spinoff of sorts to Jefferson Airplane. Kantner stayed with Jefferson Starship as that group began to draw more commercial success than the earlier band, but he left in 1984—reportedly because he felt the group had lost touch with its counterculture roots. In the ‘90s, Kantner started playing with Jefferson Starship again, and continued to do so until his death. Paul Kantner is survived by his three children.